The American Academy of Cosmetic Dentistry is the gold standard for establishing standards of care in cosmetic dentistry. Whether you are seeking accreditation from the AACD or simply want to improve your cosmetic dentistry, seeking accreditation standards is a good goal. 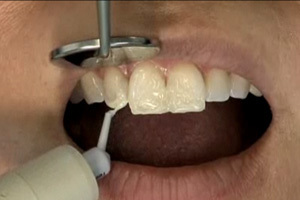 Todays program is part one of a three part series featuring an in-depth look at a type one accreditation case which is 6 or more indirect porcelain veneers. Our Presenter today, Dr. John Weston is an AACD Accredited Fellow and serves as an examiner. In part one Dr. Weston will discuss case selection for the type 1 accreditation case and demonstrate a mock up. Dr. Weston explains why he believes the mock up is important for the dentist, the patient and the lab.